Important note for users of Refer a Friend v.1. *: version 1.X and 2.X are not fully compatible. To find out more details, please read the description. Advocacy is the end game of most marketing effort. Whether it be through unique portfolio, great customer service, or engaging content, once you’ve convinced customers to speak on your behalf you’ve gained one of the most powerful marketing tools available. Not only do referrals and personal recommendations enjoy a much higher conversion rate, they also attract higher quality customers and increased average order value. Convincing your customers to become your advocates may take a lot of effort over a long period of time, but it does not have to be the case. What we have for you is an advocacy tool with a built-in loyalty program that rewards customers for inviting people to your store. Our Magento Refer a Friend extension comes with a full range of customization options, allowing you to set up the referral program in Magento to fit your business model and reward the type of behavior that suits you best. Landing page for the referral link is provided by the store owner. Invites are logged within the customer area, allowing the customer to see how many people have responded and the amount of bonuses earned. A customer may receive bonus for one of three things: number of customers attracted, amount they spent, or the number of items they bought. There is also an option to reward those who responded to an invite with a one-off reward upon sign up. You decide at what point the bonus is activated (e.g. per each 5 customer sign-ups or each $100 spent, etc. ), whether it is going to be a fixed sum or a percentage discount, and how many times a customer will be able to earn the same bonus. 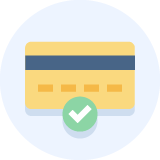 Earned bonus may or may not be used together with a discount code, it may be limited to a certain percentage of cart total, and it is possible to allow bonuses only with purchases over a certain amount. Within this Magento referral extension an unlimited number of rules may create to be used at different times or even simultaneously. In case rules overlap we suggest assigning priority numbers for each rules to decide which goes first. There is also an option to define whether the rules are compounded or limited to the first one engaged. It is possible to edit the amount of bonus earned manually from backend. Using the Refer a Friend extension together with the below Aheadworks products, online merchants get more valuable insights. Let clients use earned discounts for referred friends on the one step checkout page. Reward game users with points for friends inviting. Very helpful for growing our customer base. This module works very well by encouraging our current customers to go out and find us more. and do a great job of increasing exposure as well. The few times I've needed help with this module the support has been top notch. Quality extension, work as advertised. Quality code makes customization possible. A1 Customer service. I purchased this module recently and really like it. Got all-in-one referral program that I needed. I definitely recommend it for those who wants to receive more benefits and stimulate customers as well. It works in fact similar to a small MLM structure. There were few problems with configuration but Customer Service was able to help me quick and efficient. Great tool to increase your sales! Getting members to register and refer friends for discount incentives couldn't be easier, using simple link sharing with popular social media and through emails. Good tracking of the referred friends in customer accounts too. A feature in the future I would like to see is to see a shorter or customizable broadcast link, such as simplifying the referral string to a certain amount of characters, etc. We used to think that we can hardly involve our clients into any loyalty program or direct interaction with our brand. I may say, we were wrong. This extension works fine for us. We have a dozen of overactive participants and many periodical ones, but the number of new visitors and customers increased noticeably and we are happy. Only the иest recommendations for this extension. I recommend this plugin to all Magento store owners. Our own experience showed that this tool considerably increased the quantity of clients. It is evident that they were referred by other customers. It's difficult to emphasize one feature out of others. They are all great! But for me, as a store admin, unlimited rules with great flexibility in their setting are the most attractive. Since we installed the extension, our customers have become more active and we have noticed the seismic shift in new visitors. I'd also like to commend Vitaly and his team on their prompt, detailed and excellent support. We like the module overall but had to customize how users see their balances and create some admin reports. Worth to spend $100. It's absolutely powerful extension.It's creating a lot of traffic to our client's website. No frills, no fuss. Does exactly what it says. No frills, no fuss and works very well. I have buy this extention and I think that is the really good solution for incrase Referral Traffic. Also the option to enter the code at registration time (or even while checking out the first time) would be awesome. Though we'd like to see a cleaner, easier URL that can be shared via social networks, our customers seem to understand how to use it so far. We'll have to start pushing it to them more - so creating more widgets around the site to spread the Refer A Friend word is key. Refers a lot of traffic. Great extension and easy to install. It's creating a lot of traffic to our clients website. worked really well in helping me refer new customers but there were some issues in getting the module to administer the right credit to customers. This is a easy-to-use extension for affiliate marketing. It'll be much better for users to add social bookmarks and retrieve email contracts from webmail services like Gmail/Yahoo/Hotmail. A perfect extension to help improve our sales. The only option that we miss is to add a fee to the customer who buys after being invited by another customer. Basicly we purchased the component. Edited the invite a friend so more people could be invited at once, also added a live top 3 on the frontend of the website so we have live statistics of the top 3 'referrels' alltime. Honestly, I don't think there's any way that a developer can add more robust functionality for $100 than buying the Refer a Friend extension. It's absolutely powerful. I'd also like to commend Pavel and his team on their excellent support. Weekday or weekend, I got prompt, detailed and positive feedback. I'll definitely be buying again! Very nice module! But we miss two functions in this module. First of all it would be nice if the created actions would be visible on the account page, or in the RSS feeds. Also it would be very nice if the refer-a-friend url's could be combined and posted trough the facebook module. We hope the $ incentive will increase our Newsletter subscriptions which should convert to sales. Currently Refer a Friend only rewards the referrer I hope a future extension will reward either or both referrer and Friend. Example I would like to offer $2.00 for every signup to the Referrer and a $20.00 discount to the Friends first purchase. If you spend a lot of effort into making your customer's experience with your website as fun, safe, fast, secure, friendly ... then take advantage of this goodwill. This module works well at enabling your customers to refer an associate / friend to your site. There are no complicated forms or registration process for the customer. Simply enter in the friend's info and send. 100% recommended for those who go the extra mile to ensure their customers have a great experience. Stimulate sales through refer-a-friend programs. Benefit from GDPR compliance! Once a customer deletes a profile, all the referral activity will be erased (right to erasure). Run own refer-a-friend programs with this Magento 2 referral extension! Let brand advocates invite friends to purchase products through social sharing buttons or referral links. Track the performance of each advocate. Provide advocates and their friends with fixed or percent (cumulative) discounts as rewards for their activity. The Magento 2 Refer a Friend extension includes only the main referral program configuration parameters so that you can quickly set up your program and get started! 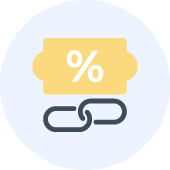 With this Magento 2 referral extension, you can flexibly manipulate with your affiliate program rules by setting the exact discount values and types (fixed or percent) for advocates and their friends. Instantly access the info on each particular advocate, manually control transactions, and track advocate balance history. Thanks to this Magento 2 referral program extension, your advocates can monitor their balances, share links to your products, enable email alerts - all from a single page! Build a refer-a-friend program that actually works. Note that a referral program is a general concept and it does not implies any specific attributes. The whole scope may include affiliate, customer referral, and partner programs to be defined as referral ones. For example, affiliate programs are created for rewarding the activity of external agents, while partner programs are designed for rewarding third-party vendors or wholesale buyers of products and services. Meanwhile, the refer-a-friend program created by this extension helps to keep loyal existing customers and find new shoppers. According to statistics, customers prefer purchasing products or services 4 times better if they are referred by friends. Moreover, the lifetime value of new referral shoppers is 16% higher than non-referrals. Finally, the reward points earned within refer-a-friend programs are strong motivating factors by themselves regardless of the obtained reward amounts. So, the functionality provided by the extension is valuable by itself. Still, we also made our best to offer you simple and effective customer referral programs with straight rules, familiar interfaces and visual elements easily perceived by customers and non-tech savvy staff. The extension includes rich backed configuration options and the user-friendly frontend interface facilitating the whole process of creating refer-a-friend program in your store. The functionality available allows creating RAF (refer-a friend) programs, which are easily comprehensible and intuitive. Almost without your participation, customers are able to join the program attracting new clients with discounts and receiving rewards in return. Make sure your referral program does not kill your business. There is nothing worse than to create a referral program which is poorly operated. Customers certainly like the fact is that you can offer big discounts, but they won’t work if it takes forever to obtain the rewards. As we know, a spoon is dear when lunch time is near. So, the best idea here is to set rewards being transferred to brand advocates just after their referrals make the purchase. In its turn, it considerably increases the chances for immediate reward application by brand advocates. If a brand advocate is not in a hurry to spend awards for some reasons, you can define reward expiration terms. It makes brand advocates use points more actively making a referral program work in a proper manner. Flexible configuration makes it possible to create motivating programs attractive for both brand advocates and newly referred customers. You can even differentiate programs for particular store views to make them corresponding to certain customer groups and local mindset preferences. You are able to create refer-a-friend programs, which are beneficial for all the parties, including you, your brand advocates, and their friends. With the functionality provided, the program is well-managed and well-performing simultaneously, which ensures you profit and LTV increases. 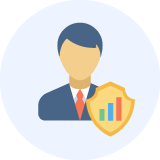 Prevent your business from frauds, fake referrals, and financial losses. It’s vital to set a customer referral program in the way it charges rewards to brand advocates only in the cases their referrals achieve the store and make purchases. For this purpose, Refer a Friend offers the functionality, which protects the fraudulent use of referral links. Situation 1. Imagine the following situation. Linda sends the link to Robert, a new customer. Robert follows this link, comes to the store and makes the purchase. The extension charges reward points to Linda. It’s OK.
Situation 2. But what if Tom, a current client, sends his link to Linda to make a purchase? Since Linda is an existing customer, Tom will not get the reward via the Refer a Friend extension. That’s how the extension fraud protection system works. Also, note that brand advocates can’t refer themselves. The extension will block such attempts. Moreover, to prevent the situation when brand advocates get drastically large discounts and apply them to buy the products or services with extremely low prices, it is reasonable to set the minimum order amount when brand advocates can apply their earned points. Moreover, to prevent your business from significant financial losses, it is possible to define the maximum reward amount that can be spent per order. As a result, you have a safe and reliable refer-a-friend program at hand with various functional opportunities able to stop frauds and keep your business away from unreasonable loses. How does the Magento 2 Referal extension beat the competition? The extension functionality is convenient for both customers and vendors. I really like that the module assigns rewards to both brand advocates and their friends who were invited with the help of referral links. The links are created within minutes and customers are able to copy and share them on their social media profiles. It’s a time-saving way to gain more clients. I had a problem with rewards assigning. I contacted a support team and they helped me soon. I appreciate Aheadworks are always ready to help. Actually, the extension allows starting and managing referral programs without many efforts. + Their customer support is excellent - when we needed a custom implementation of a specific setting, they were able provide us a patch that met our needs. It’s great to attract new customers with the help of existing ones. I like the way they have implemented this idea. It’s easy to install and manage plugin. The most valuable thing is adding a special section to the customer account area. It allows my clients to be aware of how their rewards are spent and manage this activity. Recommended. Must have extension if you want to increase your sales. Works fine with other extensions. To test discounts I have invited my colleague but neither she nor I received the rewards. What can be wrong? Since to prevent fraud the extension does not give discounts to customers who use the same IP, if you would like to test using the same IP, I would suggest that you enable Sandbox mode in the extension settings. How to add RaF credit to an advocate manually?